A world in UNIGINE is a scene that includes a set of different built-in objects with certain parameters. All objects added to the world are called nodes. Nodes can be of different types, determining their visual representation and behavior. Some node types appear visually and have surfaces to represent their geometry (mesh), such as Objects, Decals, and Effects. Other nodes (Light Sources, Players, etc.) are invisible. There are a number of ways you can add nodes to your world. You can create them using the UnigineEditor's functions as described in this article. You can also create nodes at runtime via code. UNIGINE provides a set of built-in node types allowing that can be used to represent practically all of the objects present in real life. These node types are formed into several groups. You can create a node of any built-in type by selecting the corresponding item in the Create menu and specifying necessary parameters. 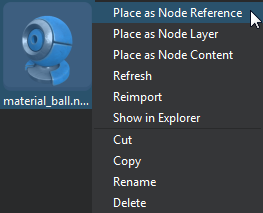 Before creating nodes you have to create a world or open an existing one, otherwise the Create menu will be disabled. The process of creation and the list of parameters available for each of the built-in node types is described in the corresponding article of the Built-In Node Types section. UNIGINE lets you add any 3D model created in a third party digital content creation tool via the FBX import option. Apart from that it offers you a set of standard primitives, that might be helpful in certain cases. This set includes the following types: Box, Sphere, Plane, Cylinder, and Capsule. These primitives can be used either as placeholders and prototypes, or to create world objects with a simple shape (e.g., a plane is commonly used as a flat ground surface). 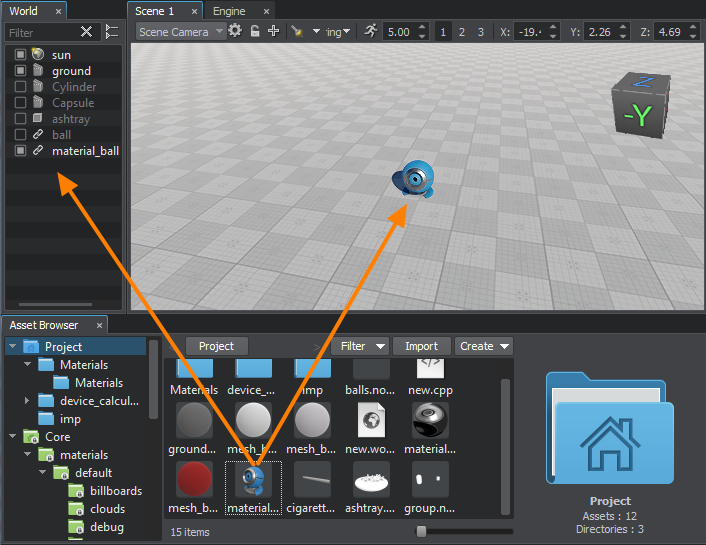 You can create any primitive by choosing the corresponding item in the Create -> Primitives menu. Having specified the primitive's parameters and clicking OK you confirm its creation. You can also click Cancel to abort. After confirming the creation the Editor switches to the Snapping to Surface Mode, so you can specify the position of a new node. dimensions along the X, Y, and Z axes. 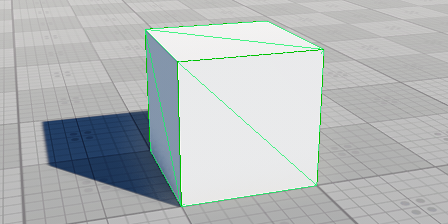 A box with the specified sizes shall be created as a Dynamic Mesh. number of the latitudinal and longitudinal edges of the sphere running from top to bottom from right to left. Increasing this value enhances the smoothness of the sphere by adding extra facets. 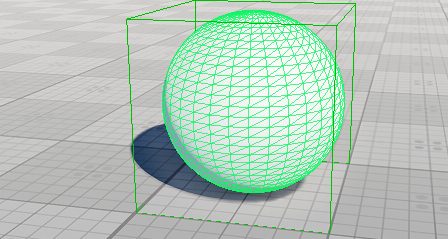 A sphere with the specified parameters shall be created as a Dynamic Mesh. dimensions along the X and Y axes. number of the lengthwise and transversal edges cutting the surface of the plane into facets. 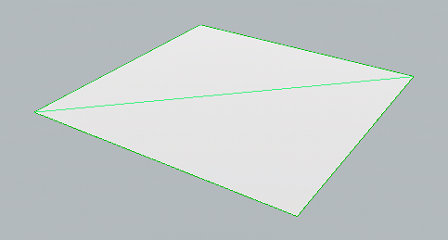 A plane with the specified number of segments and size shall be created as a Dynamic Mesh. dimension along the Z axis. number of latitudinal edges cutting the cylinder from top to bottom. this value determines how many edges are used to define the cylinder's circumference. The larger the number of sides, the smoother the cylinder appears. 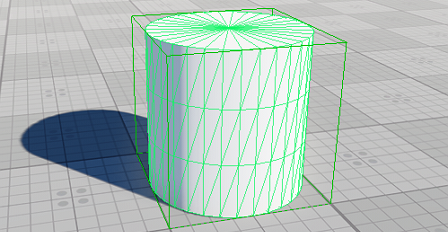 A cylinder with the specified parameters shall be created as a Dynamic Mesh. number of latitudinal edges cutting the capsule from top to bottom. One of them is reserved by the capsule's body and the other are distributed between the caps. Determines the smoothness of the capsule's caps. this value determines how many edges are used to define the circumference of the capsule's body. Also determines the smoothness of the capsule. 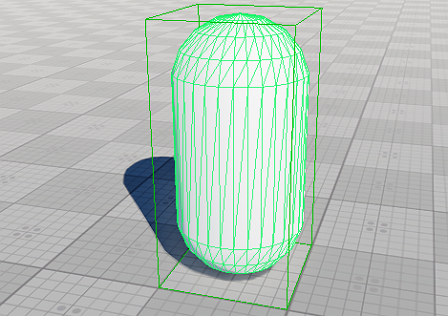 A capsule with the specified parameters shall be created as a Dynamic Mesh. A node can be created by simply dragging an asset from the Asset Browser either to the Scene Viewport or to the World Hierarchy window. Asset type determines the type of the node (or hierarchy of nodes) that will be created. .node - built-in asset type which contains any node (or a hierarchy of nodes) exported from the UNIGINE project previously. Place as Node Reference will create a Node Reference. Place as Node Layer will create a node of the Node Layer type. Place as Node Content will import the contents of the *.node file, which can be a Static Mesh or any other node type, as well as a hierarchy of nodes. .mesh - built-in asset type that describes static and skinned geometry. This type of asset produces a Static Mesh or a Skinned Mesh if the asset stores animation data as well. .fbx, .obj, .3ds, .dae - assets that contain 3D models created using a third-party modelling software. This type of asset can produce a Static Mesh or a hierarchy of nodes depending on its contents (cameras, lights. etc.). If you drag an asset to the World Hierarchy window, the created node will be placed right in front of the current camera. While dragging the asset to the Scene Viewport switches the Editor to the Snapping to Surface Mode, so you can choose where to place the created node.